It’s time to get your healthy dose of the Double Dragon Trilogy. 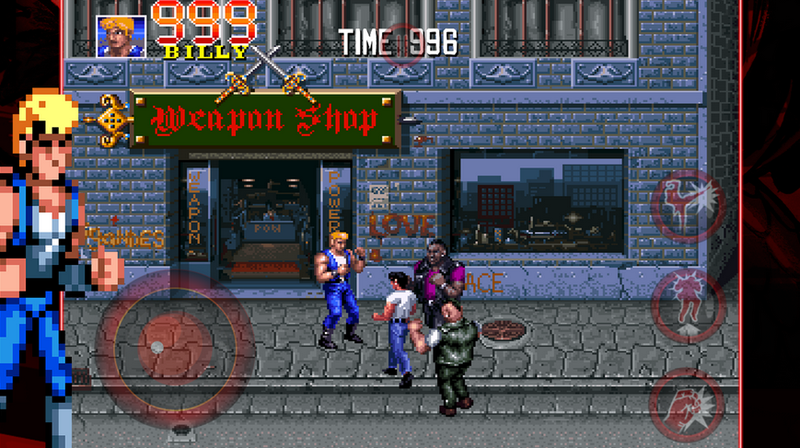 In this crazy-popular co-op arcade title from the 80s, which has been specifically optimized for mobile devices, you help two martial arts experts save a girl from baddies. This one title actually combines all three of the Double Dragon games, including Double Dragon 2: The Revenge, and Double Dragon 3: The Rosetta Stone. If you played this game back in the day, you will see that all of the old school moves have been included, and this is a great recreation/tribute to the original DD. Check out the full feature list down below. The game runs at $3, which for all three DD titles in one, that’s a pretty good deal.